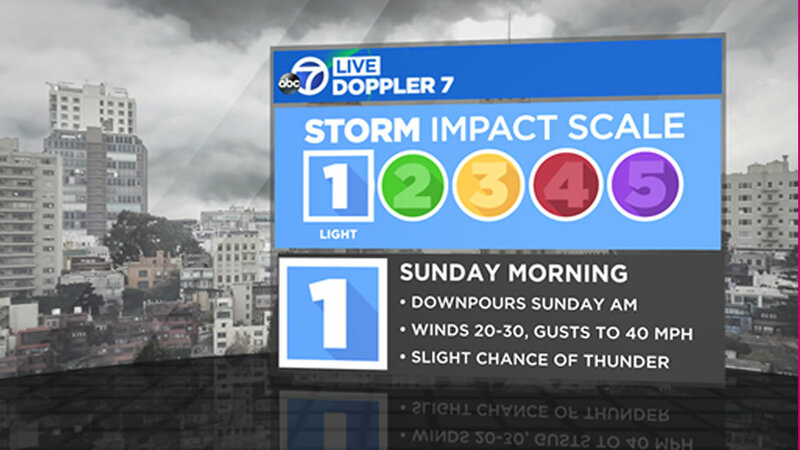 SAN FRANCISCO (KGO) -- The next storm to hit the Bay Area has arrived, but if you sleep in, you may miss most of the action. The storm is a 1 on the Storm Impact Scale. Total Rainfall between .25" - .50" in most spots. 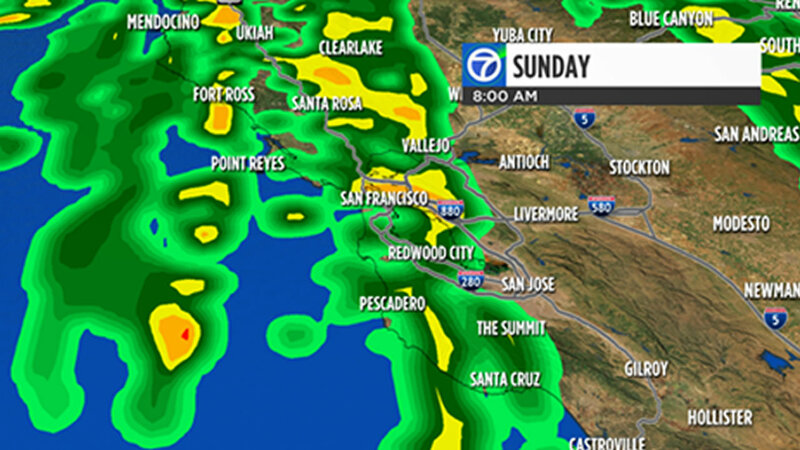 North Bay: 4 a.m. to 7 a.m.
Central Bay: 6 a.m. to 9 a.m.
South Bay: 8 a.m. to 11 a.m.
Afternoon/Evening: widely scattered light showers. 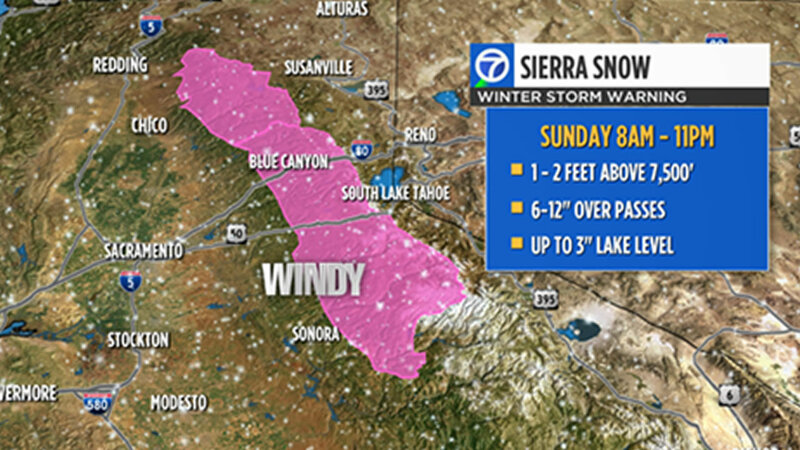 6"-12" over the passes (likely chain requirements will go into effect).